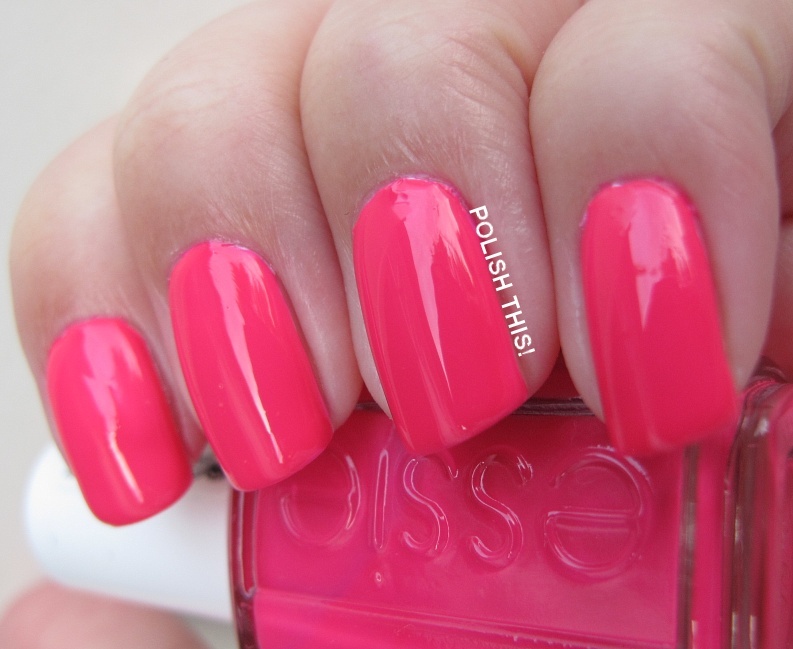 Essie Neon 2013 Collection Swatches and Review - Polish This! 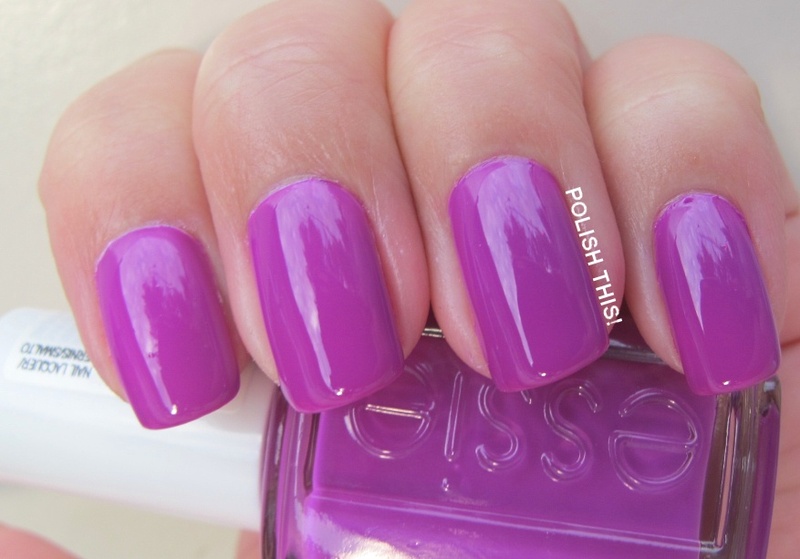 Like I promised yesterday, I have the Essie Neon Collection 2013 swatches for you guys today! First I want to state couple general things about the polishes and the way I swatched them. I also got along with this whole collection Essie Blanc from L'Oreal Finland to use under these polishes. The instruction suggest that you use one coat of Essie Blanc (or some other white polish) under these neons to make the colors pop and that's what I did with my swatches. So I have base coat, one coat of Essie Blanc then two or three coats of the polish and then a quick drying top coat in all of these pics. I used Sally Hansen Insta-Dri as my top coat with these to make them shine as they are neons and they dry a bit matte on their own. I've also already said it, so you probably know that I'm not a big neon person. I didn't own too many neon polishes prior to these and these actually tripled the amount of my neon polishes... I've tried some before, but somehow I have always felt like neons don't suit me. I also just shortened my nails quite a bit and I really wanted to do the swatches of these on shorter nails as I feel that neons look better on shorter nails, at least to me. But ok, let's go to the polishes, shall we..? 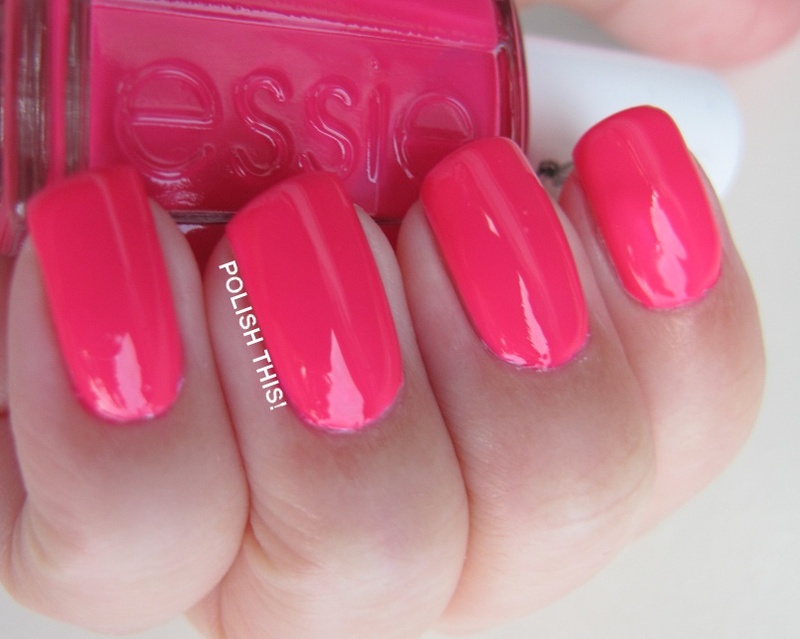 So first of is Boom Boom Room, a bright bubblegum pink. This one had surprisingly a really nice formula and it was pretty good with just one coat. I did two coats just to be safe. I'm not the biggest fan of bubblegum pinks and I won't probably be using these alone, because I just feel like it doens't suit me. 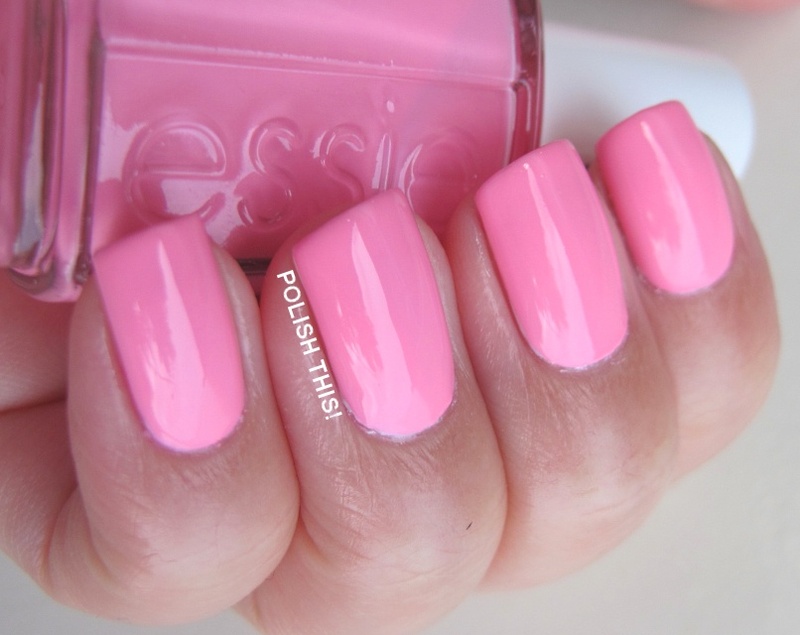 But the formula was so nice for a pink like this that I think I will have still use for this polish. The next one is Bottle Service, a really bright fuchsia. I did two coats and it went on quite easily. 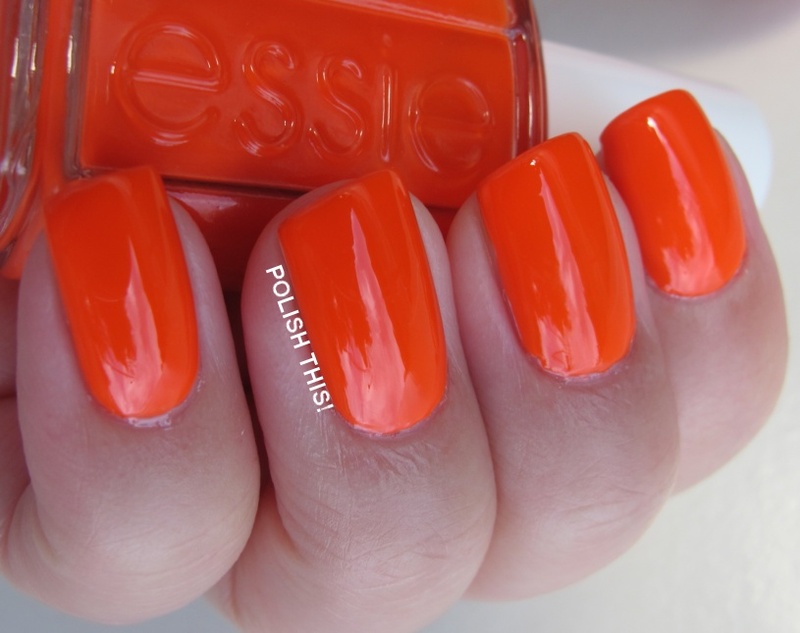 This is more like my type of color and I'll definately wear this one again. It's very summery! This vivid blue is called Bouncer, It's Me and I used two coats here. I have say that I really loved this color and it went on effortlessly! I have read that some people have struggled with this but I didn't have any problems whatsoever. I guess it might have something to do with the fact that we have wider brushes here in Finland in our Essie polishes and that brush makes the applying so much easier. Next is DJ Play That Song, a red toned birght purple and again I did two coats. This was a bit on the thick side, but nothing too major and again, the wide brush made it quite easy to apply. 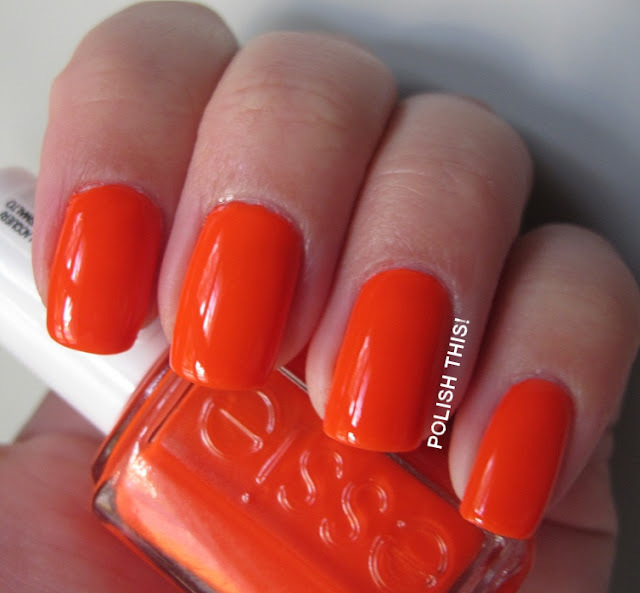 Then this really bright orange is called Saturday Disco Fever and again I have two coats here. I really love bright orange polishes and this isn't really an exception, it's really gorgeous! It was also a bit on the thick side but again, nothing too major and it went on pretty easily. Then the last one is Shake You $$ Maker, a bright green and I have three coats here. This was the only problematic one for me of all these polishes. This was quite thick but it didn't cover very well so I had to use three coats and the color is still a bit uneven. Also, the three thick coats made it bubble as you can probably see. However, the color itself wouldn't have been my favourite one anyhow, but I still wish that this would have had a better formula. My favourites vere definately Bouncer, It's Me, Bottle Service and Saturday Disco Fever. These are available right now and they are also coming to the stores here in Finland! My favourites are Boom Boom Room and DJ Play that song. I always have problems with the purple one, too!